New York — The plaintiff was diagnosed with esophageal cancer in October 2013 and filed suit in 2014. 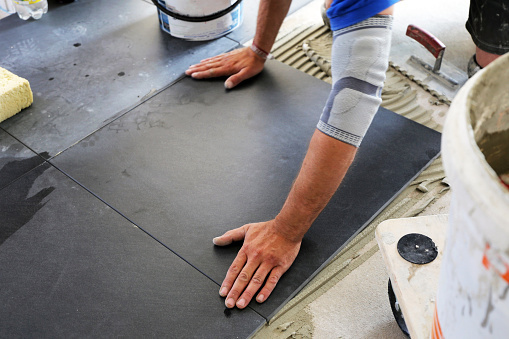 The plaintiff identified ten projects where he worked with vinyl asbestos floor tile. In addition to defendant American Biltrite’s (ABI) tile, the plaintiff identified seven other brands of tiles he used throughout his career. The plaintiff could not state which specific tiles were used on any of the ten jobs he described. With regards to ABI, the plaintiff testified that he used their brand of tiles on “a lot of jobs”, and recalled details regarding the packaging of the tiles as well as enclosed installation manuals and brochures. ABI moved for summary judgment, which the court granted. ABI argued that the plaintiffs failed to proffer any expert opinion or other evidence establishing general and specific causation that the ABI’s vinyl asbestos floor tiles caused his esophageal cancer. Although the plaintiffs produced the expert report and affidavit of Dr. Brent C. Staggs, ABI stated it had only received an expert report from Dr. Fabio Giron, which contained the unsupported conclusion that “asbestos exposure is considered a risk factor for the development of esophageal cancer as well as exposure to tobacco smoke.” ABI’s expert witnesses offered their own opinions, established the lack of causation in the plaintiffs’ case. The court analyzed the reports of both the plaintiffs’ and ABI’s experts, and determined that there were credibility issues related to the expert opinions regarding general causation. However, the court focused on the defendant’s special causation arguments, specifically that ABI argued its floor tiles did not produce breathable dust at a level sufficient to cause the plaintiff’s esophageal cancer. The court found that Dr. Staggs’ report and affidavit did not distinguish exposure to ABI’s vinyl asbestos floor tiles from any of the other exposures identified by the plaintiff, including the seven other brands of vinyl asbestos floor tiles he identified. The court also held that Dr. Staggs failed to quantify the plaintiff’s exposure to the defendant’s products, did not rely on comparisons to the exposure levels in other studies, and failed to compare the encapsulated chrysotile fibers in ABI’s asbestos floor tiles to other forms of asbestos fibers. The court held that the report and affidavit failed to raise an issue of fact on specific causation. The court also found that the plaintiffs’ reliance on Dr. Staggs’ report, the plaintiff’s deposition and precedent from multiple jurisdictions was insufficient to raise an issue of fact on specific causation. The paintiffs’ conclusory argument that Dr. Staggs’ trial testimony would rest on an “overwhelming scientific consensus” did not raise an issue of fact. Thus, for those reasons and others, the court granted ABI’s motion for summary judgment.